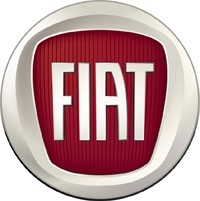 Fiat S.p.A. has decided to raise the planned production capacity of its joint venture with China's Guangzhou Automobile Industry Group Co. to 500,000 units a year by 2015, the China Times reported. In 2009, Fiat and Guangzhou Auto signed an agreement to establish a 50-50 joint venture in Changsha in central China's Hunan province to build cars and engines for the Chinese market. The new venture, now under construction, is expected to start producing cars later this year with an initial capacity of 140,000 cars and 220,000 engines per year. Its first product will be the Fiat C-medium. That will be significantly higher than Fiat's initial plan of 300,000 units for 2015. The carmaker decided to raise the capacity of its China joint venture in February during a visit by senior Fiat executives to China, according to the Beijing-based daily newspaper. Beginning in 2012, the joint venture will build and sell the next-generation Dodge Caliber in China as a Fiat, Fiat and Chrysler CEO Sergio Marchionne said in January at the Detroit auto show. The Caliber variant to be sold in China will have a Fiat-designed front and rear end plus some tweaks to the interior, Marchionne said. With no assembly plant in China, Fiat currently exports its Bravo, Grand Punto and Linea small cars to China. During the first four months of the year, Fiat only sold 220 units in China, according to J.D. Power.